This page provides an overview of database management systems. A Database Management System (DBMS), is a software program that enables the creation and management of databases. Generally, these databases will be more complex than the text file/spreadsheet example in the previous lesson. In fact, most of today's database systems are referred to as a Relational Database Management System (RDBMS), because of their ability to store related data across multiple tables. What Does a Database Management System Look Like? Some database management systems include a graphical user interface that allows you to create and maintain databases by "pointing and clicking". Other database systems use a command line interface that requires that you use certain programming commands to create and maintain your databases. But most command line database systems also provide the option of installing graphical admin tools that allow you to "point and click" your way through most tasks. Different systems look different, but generally, there are a number of common features that you'll usually see across most of them. This is what Microsoft Access 2016 looks like. In this example, a table called Artists is open, displaying its contents. The top part of the screen contains a toolbar (in Access, this is called the Ribbon). The left navigation pane contains the database objects for the current database. If a different database was open, it might contain different objects. Database objects include things like Tables, Queries, Forms, Reports, Macros, etc. Some of these options are common across all database management systems. All database systems allow you to create tables, build queries, design a new database, and open an existing database. Microsoft SQL Server is a more robust database management system than Access. While Access is better suited to home and small office use, SQL Server is more suited to enterprise applications such as corporate CRMs and websites etc. 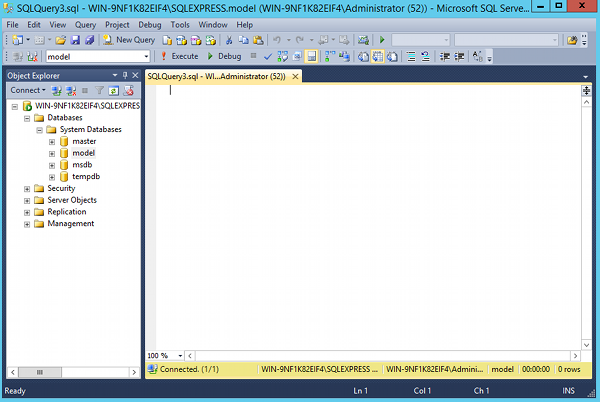 The above screen is what you see when you open SQL Server through SQL Server Management Studio (SSMS). SSMS is a built-in tool for managing SQL Server and its databases. As with Access, it has a toolbar along the top, and a left navigation pane (called the Object Explorer) for browsing objects. The Object Explorer also lists all databases on the server that you're connected to. MySQL is a competitor to SQL Server. It is the world's most popular open source database management system. 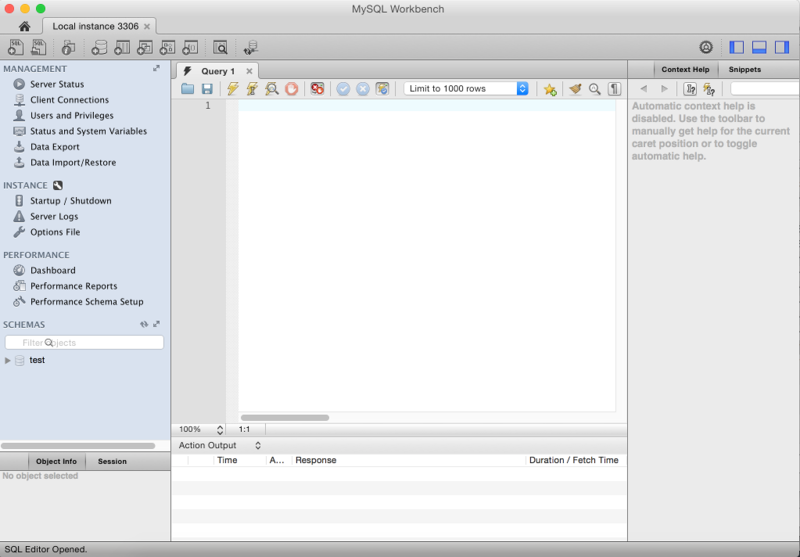 MySQL has an optional graphical admin tool called MySQL Workbench. MySQL Workbench is similar to SQL Server Management Studio, in that it allows you to do most tasks via the GUI (Graphical User Interface). Which Database System to Use? If you are using a database for home or small office use, Microsoft Access or Filemaker should be fine. If you need to create a database driven website, then you're better off using a more robust system such as SQL Server, MySQL, or Oracle. 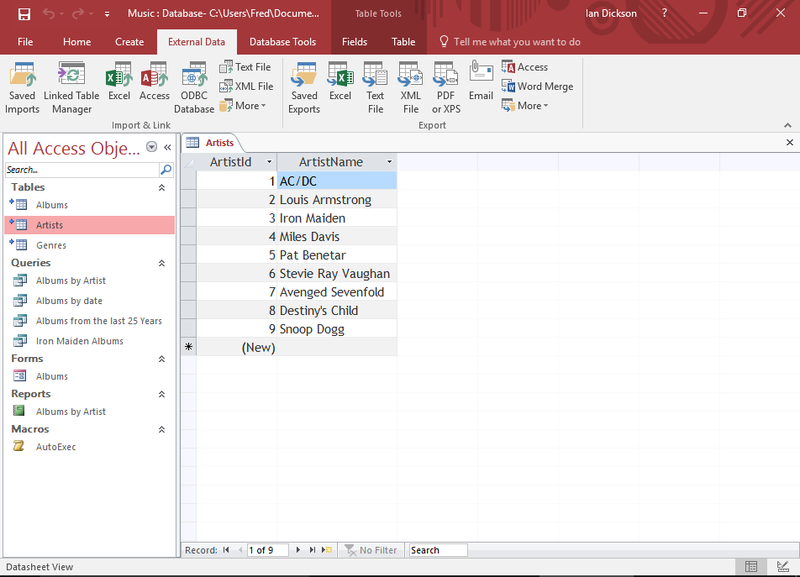 The examples in this tutorial use Microsoft Access. If you don't have Microsoft Access, you should still be able to follow the examples. The tasks we perform are the same tasks you would need to perform regardless of which database management system you use. The key goal with this tutorial is to provide you with an overview of what is involved in creating and maintaining a database.